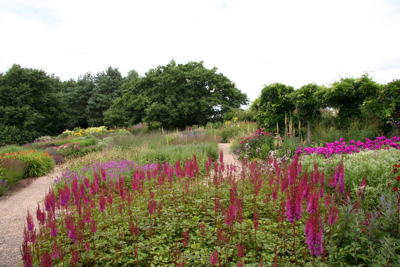 I recently took a trip to Pensthorpe Natural Park, a place I’ve been wanting to visit for quite some time. 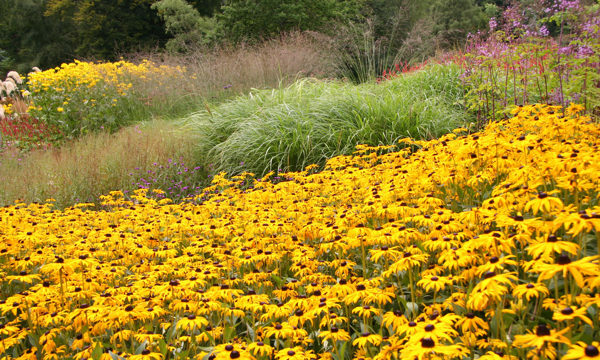 It’s not that I’m a closet twitcher and fancied a day birdwatching – the reason I wanted to trek to the depths of Norfolk was to see the Millennium Garden, an acre of gorgeous planting designed by renowned Dutch plantsman Piet Oudolf. 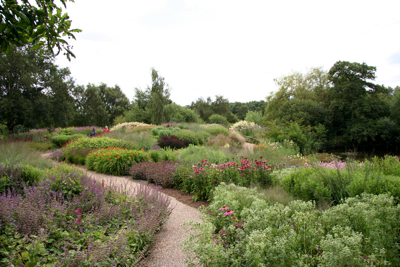 This is a garden designed to look its best in midsummer and late summer, and I’m glad to say that even though I got there relatively early in its peak season, it was worth the trip. 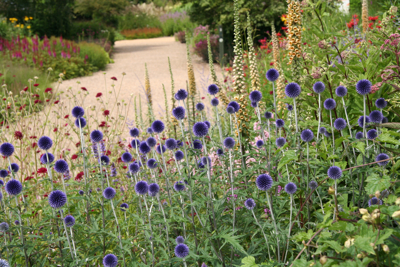 The garden consists of large drifts of plants which create a fantastic tapestry of colour. 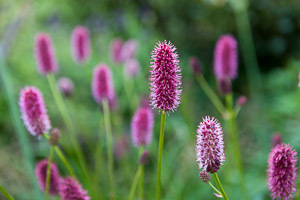 No shrubs, just grasses and perennials, so there won’t be much to see in late winter and spring, but in July, August, September and on into autumn, it’s really something. 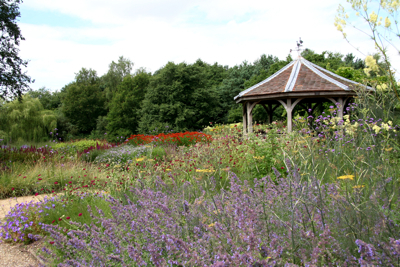 Sited next to one of the many lakes in the park, all the way round the garden I could hear the constant hum of insects and, as the paths wind through the borders (occasionally with planting in raised sections) it was a treat to see bees, butterflies and dragonflies up close. I have to admit some of the colour combinations were a bit on the garish side! They wouldn’t be something I’d recreate at home or for my clients (I don’t think), but somehow in that setting, and I think crucially, at that scale, they worked. 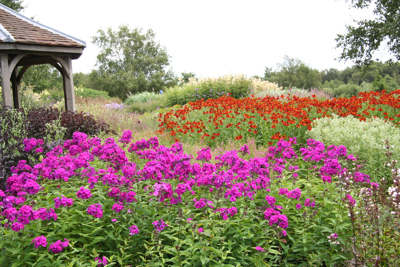 Phlox ‘Dusterlohe’ and Helenium ‘Rubinzwerg’. A very colourful combination! Shocking pink Phlox and a deep orange red Helenium certainly wouldn’t be everyone’s cup of tea, but I thought they looked great (from a distance at any rate!) and really provided a vibrant splash of colour. The soil at Pensthorpe is quite poor, and of course Norfolk is a very dry part of the UK, but the Millennium Garden is irrigated, so plants which you wouldn’t normally expect to thrive in that environment (for example Actaea, Lythrum, Monarda, Persicaria) were doing well side by side more drought tolerant plants such as Nepeta, Sedum and Origanum. 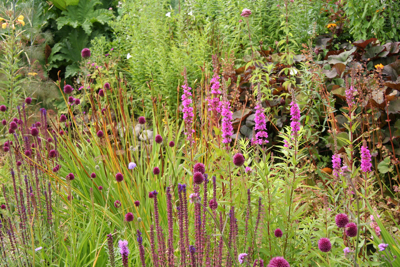 This type of naturalistic planting is all the rage at the moment, and there are many other gardens to visit where you can see other examples. 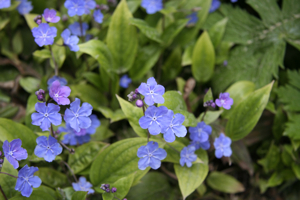 (Check out Gardens to visit in late summer & early autumn). 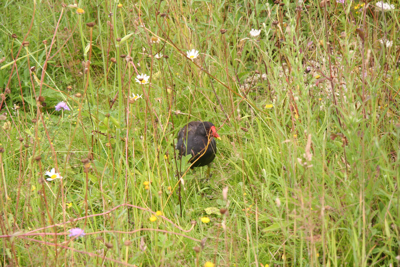 Although I’m ashamed to say I struggle to tell the difference between a Moorhen and a Coot, I did enjoy being surrounded by so many birds (whatever they were!!) as I wandered around the park. I took a walk over to the Wildflower Meadow which although past its best visually, was literally humming with insect activity, and is an important habitat for dragonflies, butterflies and demoiselle damselflies. 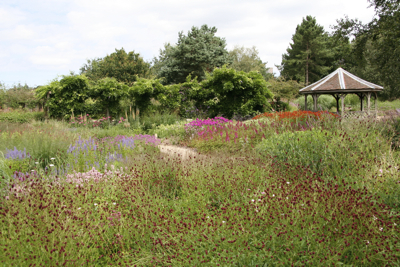 Pensthorpe also has a Wildlife Habitat Garden which has been planted with species to attract insects and mammals. 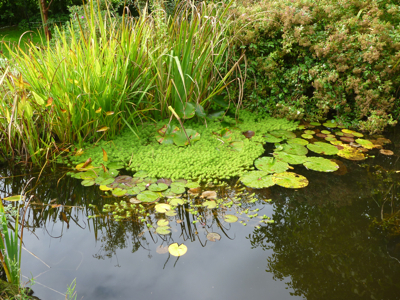 Running water and a variety of nesting boxes also help to make this a fantastic wildlife-friendly environment. It’s a great place to pick up ideas – as well as a visual feast at this time of year.